Installing EV charging stations at your business location can energize your brand, boost customer visits and attract employees that not only care about the environment but also want to work for a company that makes corporate sustainability a priority. With the surge of new electric vehicle makes and models, consumers have the power of choice. EV purchases are on the rise, which means they will need to be powered at home, work and on the road. Bring the power to your business by installing a charging station at your location. EV Charging equipment is categorized by the rate at which the batteries are charged. Charging times vary based on how depleted the battery is, how much energy it holds, the type of battery, and the type of charging station. The charging time can range from 15 minutes to 20 hours or more, depending on these factors. What Charger is right for your business? 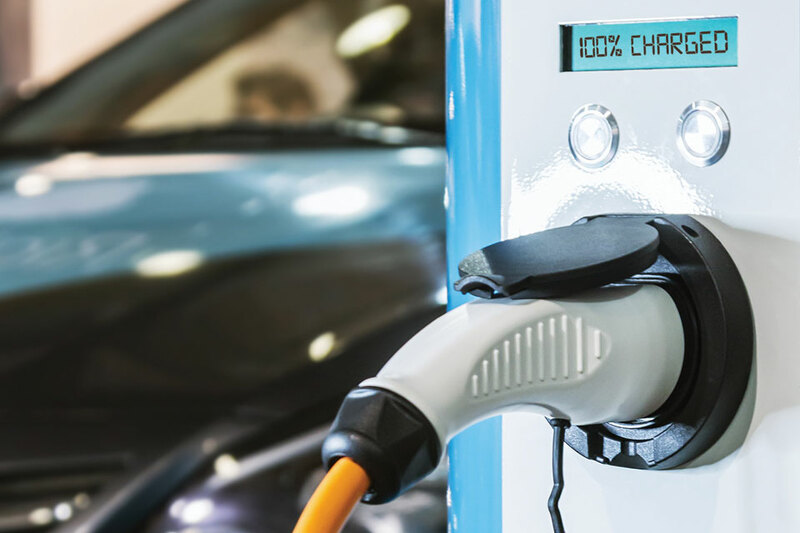 NHEC now offers incentives for the installation of new electric vehicle charging stations to NHEC commercial and municipal members. Install up to two (2) Level 2 or larger charging stations and qualify for an incentive of 50% of installed cost up to $2500. Maximum incentive available per property is $5000. For more information about our Electric Vehicle Rebate program, please contact Alicia Melanson at melansona@nhec.com or 603.536.8675.